Every week I bring you the latest SEO News. This week’s stories are about changes to Google’s search app, Link Equity, Pillar pages and Witty response to negative feedback. Matt Southern shared this breaking news on the Search Engine Journal this week. It’s all about a new feature from Google on Google’s iOS app that gives you easy access to related search items. Head on over to search engine journal to see this in action as they have a handy GIF on their site. Manipulating link juice has been the aim of SEO’s since Google released their Page Rank patent. In this white board Friday, Rand explains in great ddetail how to best distribute link juice for both small and large sites. It’s a detailed read that will interest analytical SEO’s! Pillar pages are another stalwart of good SEO and Sophia goes into great detail about what a pillar page is and how to structure one. This is an important topic and if you’ve never heard of pillar pages then this is a must read as pillar pages should be the cornerstone of all SEO work (in my opinion). Negative feedback on a blog post I’ve written – no way! In this witty article, Brain explains what you must and mustn’t do when you get negative feedback on one of your blog posts. What shut up you idiot doesn’t cut it??? Well that’s it for SEO news this week. 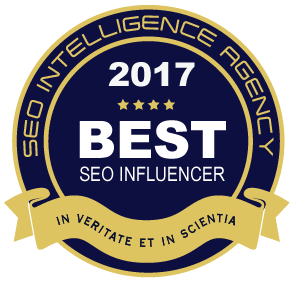 Hope you have a great week and if you want to reach out for SEO Perth prices please contact me here.